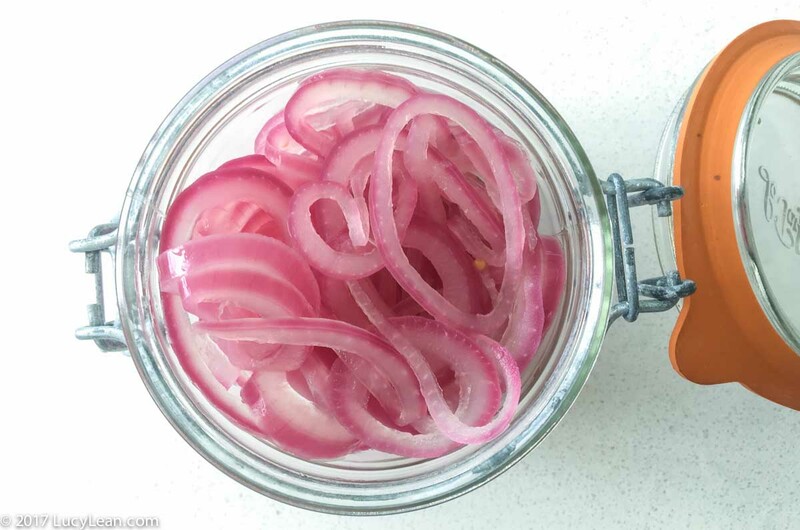 Making up a batch of these pretty pink pickled onions doesn’t take very long and you can keep them in the refrigerator for weeks to jazz up your lunch or dinner. I add them to salads instead of raw onion to avoid an afternoon/evening of smelly breath! They are great on top of burgers, fish, salads and in sandwiches. Michael Schwartz shared this recipe in MADE IN AMERICA to top his pulled pork sandwich and I’m so obsessed with them I’ve used them ever since – they are a Lucy kitchen staple – they are especially good chopped up and added to the Ottolenghi recipe for pomegranates and tomato salad as a substitute for the raw onion. 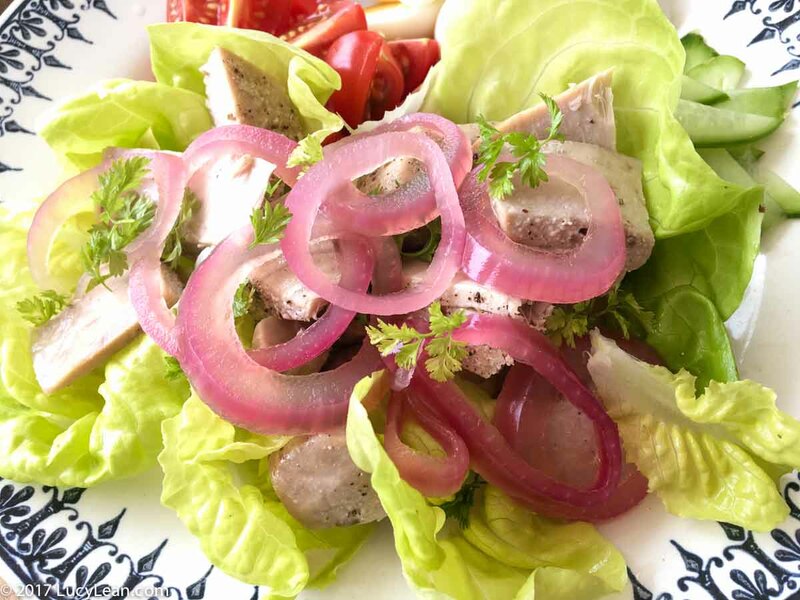 Here I topped salad Niçoise with pretty pink pickled onions – I just love the pink against the green – the Lily Pulitzer dress of salads! The key to getting them to a vibrant color that won’t fade to a dull grey is blanching with an ice bath. Not just one round of blanching here but three. 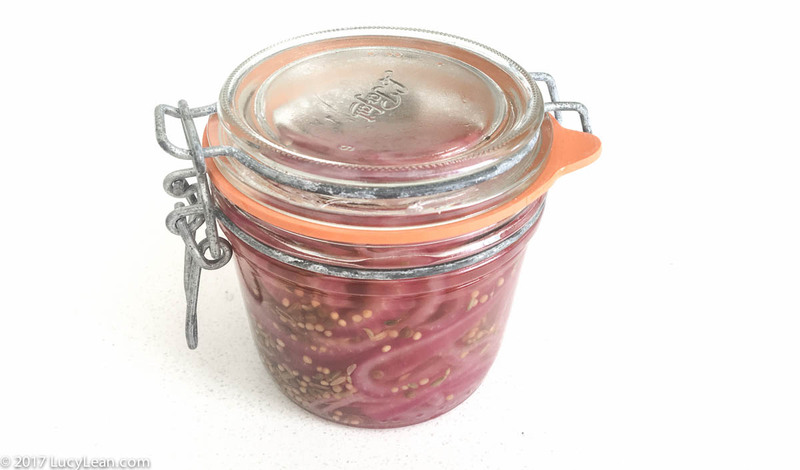 Nancy Silverton in her latest book Mozza at Home, uses this technique for pink pickled shallots and so I tried it for the pink onion pickles from MADE IN AMERICA and it worked a treat. 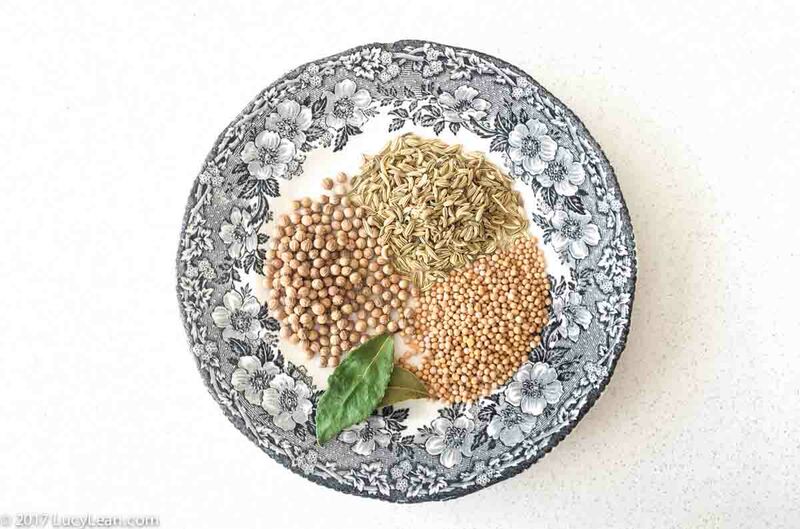 If you want to feel like Nancy is at home with you and you are there to follow along Mozza at Home is the one for you – it’s not just packed full of great recipes for entertaining and feeding a crowd it’s full of little gems like the blanching technique that you can learn and use during other kitchen adventures. In addition to the ingredients you will need a good supply of ice and a jar for keeping them in. I guess you could also batch cook a bunch more by doubling or even quadrupling the recipe but I like to do a smaller jar and replenish it when I run out. 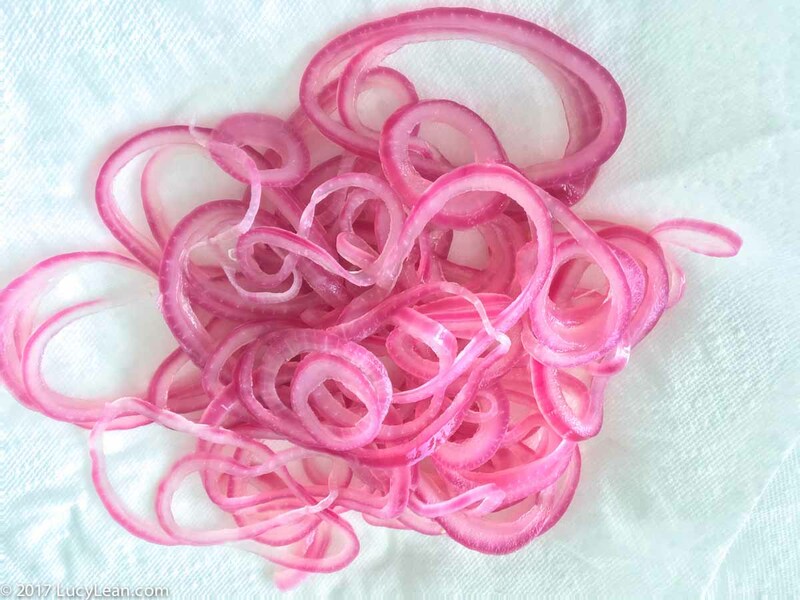 Cut one red onion into rings about 1/8-1/4 inch in thickness. 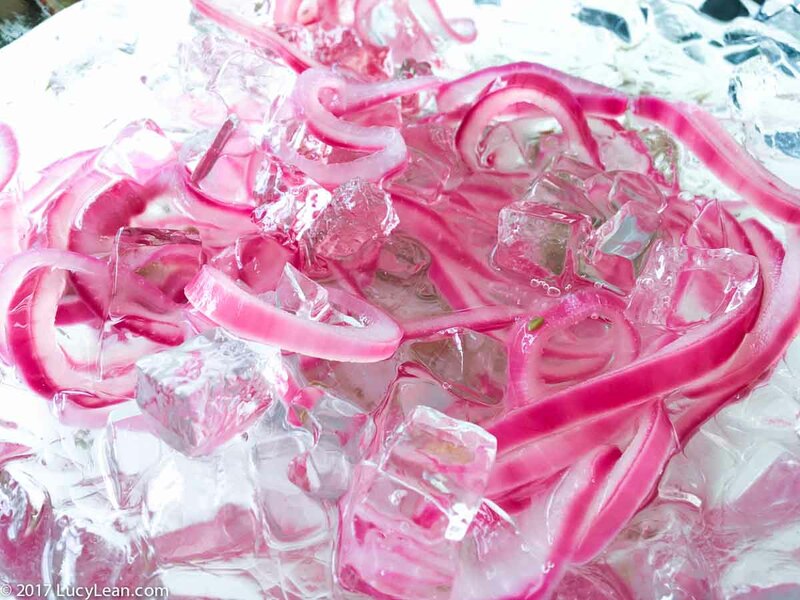 Separate out the rings and place in an ice bath for 30 minutes – this crisps it up and results in crunchier onions. 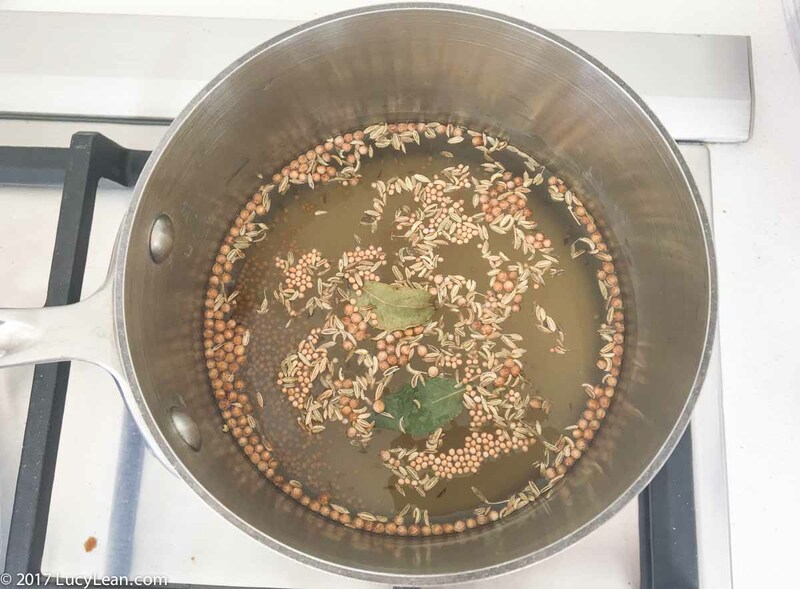 In a small saucepan place the vinegar, sugar, 1 cup of water, and the spices. Heat on medium high heat until bubbling. Reduce the heat and simmer for 5 minutes to infuse the pickling liquid with the flavors. 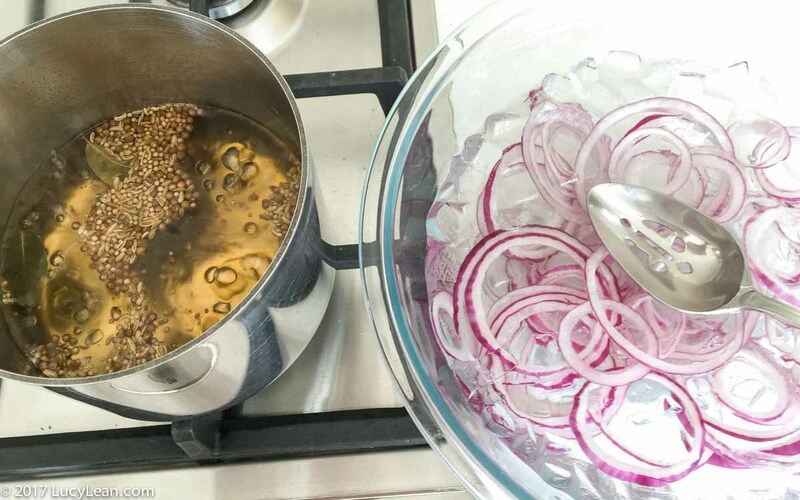 Add the onions and bring the temperature of the pickling liquid back up to boiling. 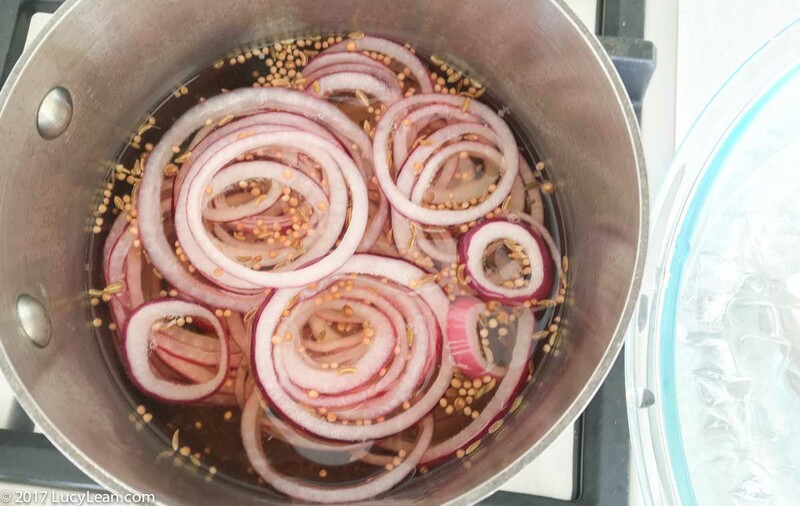 Turn off heat and transfer the onions to an ice bath using a slotted spoon. Turn the heat back on and bring the pickling liquid up to a rolling boil. Place the onions back in the boiling pickling liquid. 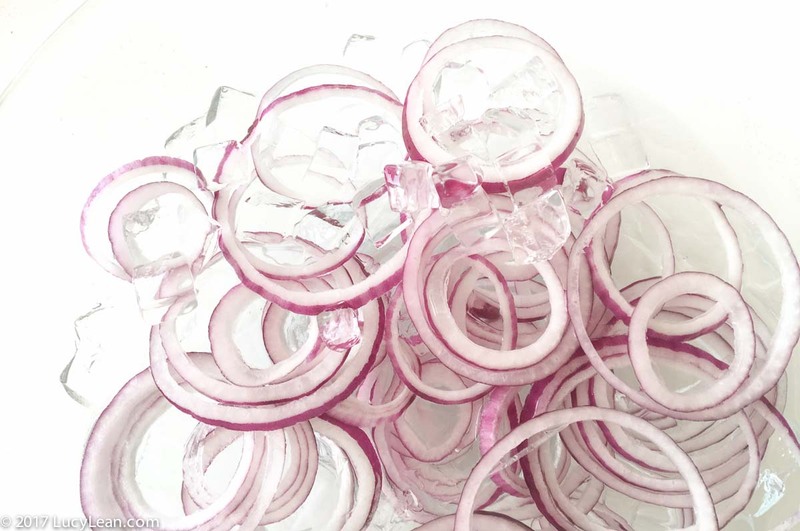 Repeat this twice – the onions need to take three ice baths total. Remove the onions from the ice bath and dry on paper towel. 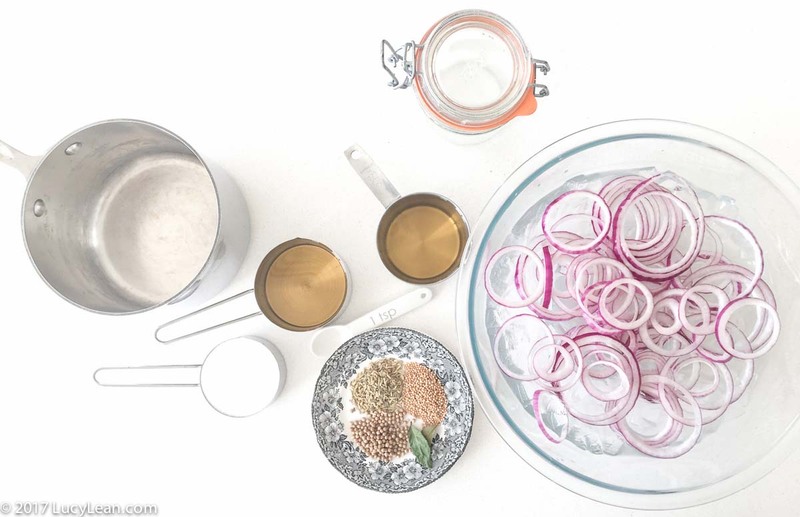 Strain the pickling juice and put the spices into the jar with the onions. Add enough pickling juice to cover the onions. Once cooled close lid and store in the refrigerator. 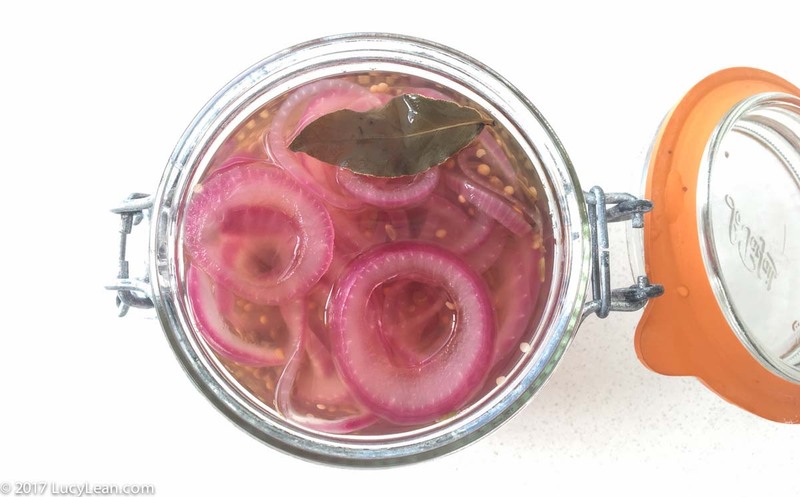 Let me know your favorite use for pretty pink pickles in the comments section below.